Student Spotlight: Courtney Cuppernull | Maxine Platzer Lynn Women’s Center, U.Va. 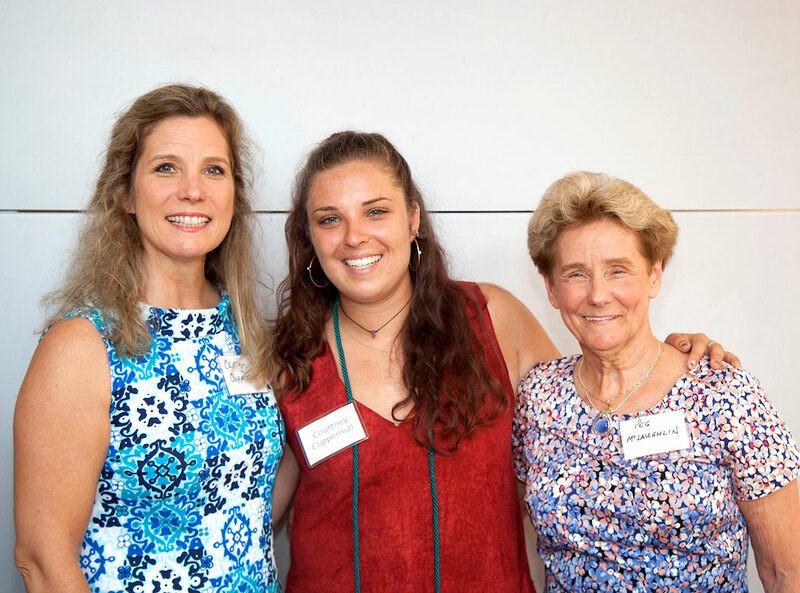 Courtney with her mother and grandmother at our annual graduation celebration. We were pleased to hear from Courtney as one of our selected student speakers at this event. You can find her remarks here. 1. Why are you passionate about your program at the Women's Center? As an athlete who went through puberty relatively early, my body was critiqued and criticized by coaches, trainers, classmates, and even strangers to the extent that the amazing opportunities my body afforded me were often overshadowed by feelings of inadequacy and self-doubt. While battling my own negative relationship with my body for the longest time, I observed the devastating impacts of eating disorders and disordered exercise behaviors amongst some of my closest friends. The Body Positive Program at the Women’s Center allows me to channel the frustration and anger subsequently created by these experiences into positive educational programming and evidence-backed interventions in the hopes of creating a more body positive and accepting environment around grounds. So much energy goes wasted in trying to attain the unhealthy appearance ideal perpetuated by so many facets of society. Imagine the possibilities if we instead invested this energy into our passions, our learning, our friendships and relationships, our communities— it would be incredible. The Body Positive Program team works towards realizing that reality where everybody and every body is accepted and appreciated. 2. What are you planning to do after graduating? Where do you see yourself in 10 years? After graduating, I accepted a position with Teach for America and moved to Phoenix, AZ where I will be teaching elementary school at Vista College Prep and working towards a masters in elementary education. In 10 years, I hope to be either still teaching, completing a Ph.D in Education Policy, or working towards crafting policies that better ensure all children in America enjoy equitable access to high quality educational opportunities. 3. What other organizations have you been involved with at UVA? I played on the Women’s Club Soccer team, served as a committee director and then Vice Chair of Programming for University Programs Council, was a member of Hackcville, volunteered as a mentor at Buford Middle School, wrote history and policy analysis for the Science of the Deal project through UVA’s Initiative on Religion, Politics, and Conflict, and was in Alpha Chi Omega. 4. What is your favorite UVA moment? I was incredibly lucky to spend a large portion of my fourth year leading a wonderful committee to plan Springfest, a music festival type of event to celebrate the end of the year. Watching all the hard work my committee put into brainstorming, planning, and executing Springfest culminate into an incredible event was by far one of my favorite memories at UVA. 5. What is something you know you do differently than other people? I like to eat cupcakes by cutting the cake part in half and making it into an icing sandwich. Religiously watching what feels like every show on the CW.